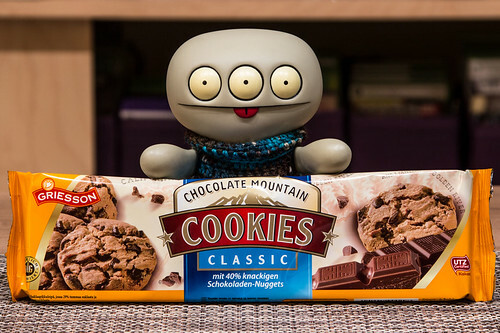 Uglyworld #1848 - Chcolates Mountainer Cookies - (Project Cinko Time - Image 56-365), a photo by www.bazpics.com on Flickr. When Mireille arrivereds home from workies this evening she had a biggers surprise in stores for me, a massivers packeter of chocolates mountainer cookies!!! I has been tolds that I isn't allowereds to eaters them all before dinners, but surelies if I leavers one for laters on it will be okays?